Click here to LISTEN to the "Bear Facts". 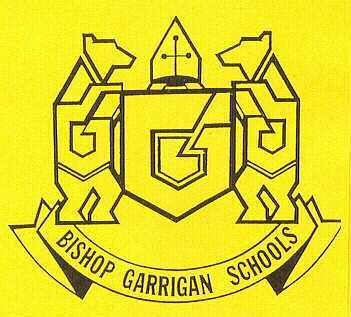 "The Bear Facts" is a weekly radio program produced by the students of Bishop Garrigan High School. The show is produced under the umbrella of the BGHS Gifted and Talented Program, with Mr. David Burrow as its faculty producer. "The Bear Facts" airs each Saturday at about 8:45am on KLGA Radio in Algona, Iowa, USA. Station frequencies are 1600 AM and 92.7 FM. The program has aired since the fall of 1992. This site archives scripts of most "Bear Facts" broadcasts. The archives are located on the Tripod® web server. Please note that the archived scripts are snapshots in time. As such, they may contain outdated links. State champion cheerleaders, Football Recap, State solo dance, Conference quiz bowl, musical. Math team, Art Show, Mary's Place. Madrigal, Cheer championships, Math team, Danz Squad state champion, Volleyball finishes season, Football adnvances in playoffs. Football finishes perfect regular season, Volleyball regionals, Football playoffs, Quiz Bowl wins tournament. All State Choir, Quiz Success. Quiz Bowl, Archery Tournament, Calendar Drive. Audio downloads for the current show and selected past shows are available in our audio archive. Some broadcasts are streamed live from KLGA on algonaradio.com.